The Big Green Egg is the most versatile cooking device ever! 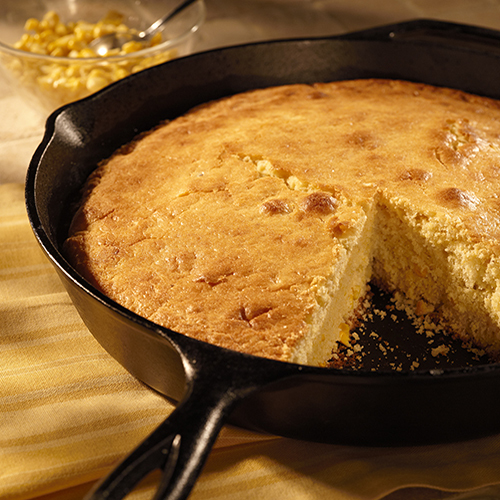 You can: Grill – Roast – Smoke – Bake. Widely acclaimed as the original American-designed ceramic cooker, the Big Green Egg was derived from an ancient clay cooking device known as a “kamado”. Originally a clay vessel with a lid, today’s EGG® is a modern ceramic marvel known for producing amazing culinary results for novice and experts alike for over thirty years! 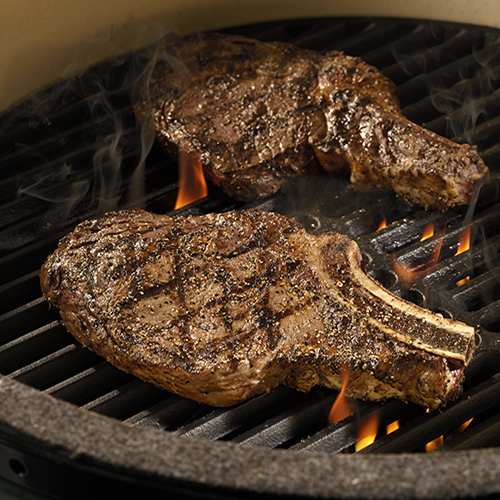 Even high temperature “steak house” grilling is quick and easy. Two dampers allow accurate control so you can lower the heat to a more moderate temperature so even fish and seafood turn out moist and tender. Using the indirect cooking method with a convEGGtor, the Big Green Egg bakes bread, pizza, casseroles, cobblers and pies better than your kitchen oven. Poultry, lamb, beef and vegetables are naturally tastier because the juices and flavors stay locked inside. The insulating ceramics of the Big Green Egg allow you to precisely control the temperature even at low heat and for long periods of time. Get great results with turkey, ham, lamb, chicken, ribs or any of your favorite cuts. 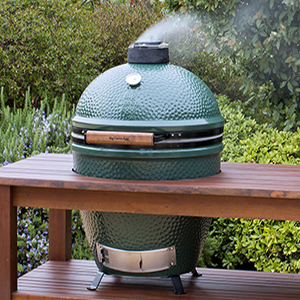 The Big Green Egg will exceed all of your expectations for culinary perfection. 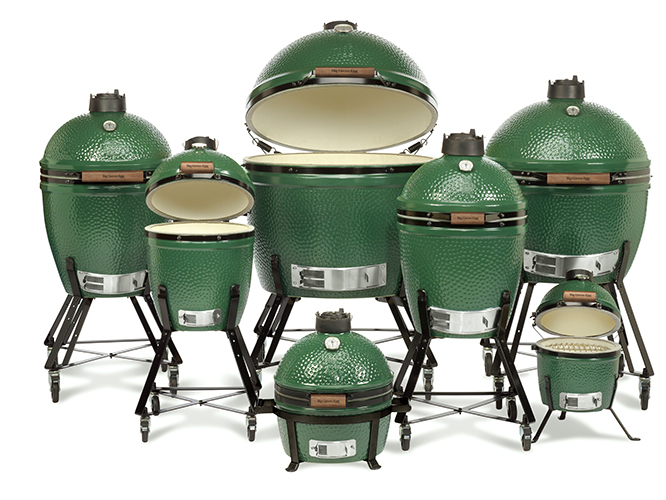 With 7 convenient sizes to choose from, there is a Big Green Egg to fit any lifestyle.